The Monte San Giorgio Camping is in a location particularly idyllic and immersed in the nature. 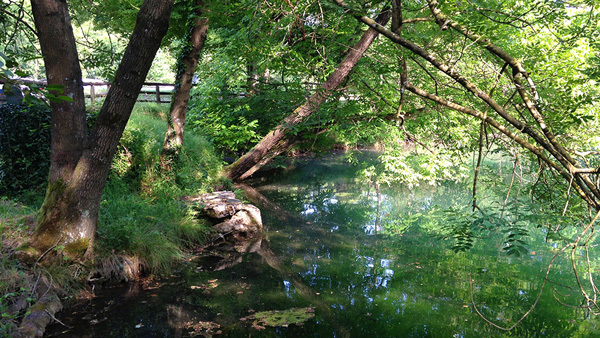 A stream and a pond give to the camping a particular charm, making it a perfect place to relax and regenerate from the city life. In the high season, the pool is ideal to find a little bit of refreshment and the playground is always very appreciated from the young guest of the camping. The luminous sunlights filter through the thriving vegetation, reflecting with a sparkle on the surface of the pond in the camping. When the guest are coming back from an excursion, they will welcomed hotly. A very quiet atmosphere make this place fascinating: a place where you can relax and enjoy the beautiful things in life. A walk along the geologic path, which linking the archaeological sites of fossil record, gives an exiting adventures. 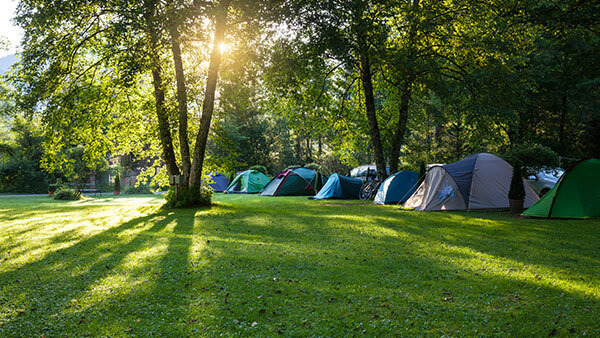 All our pitches are large, shaded or without shadow as you prefer, with electrical connections and free wi-fi access. The pitches are disposed harmoniously on a grassy ground, very comfortable for a stop with a Caravan/Camper or a tent and you have a easy access to all service and the pool area. We offer a lot of sports activities and excursion. The position of our camping is perfect for passionates explorers, who can feel the unspoiled nature of the mountains of our region. Clic on "More" to book your activity in advance.